The clubs committee meeting agreed the club fees for next year (renewal is 31 March) the good news is the clubs membership fee is remaining at £5 (this is the same price that we have kept since the club started). If you add UKA membership, then this fee has been increased by UKA to £12 – was £10. As in previous years we will be collecting Christmas presents for distribution to local children’s homes. Please spare a thought for others and bring along a wrapped presents to the Christmas party which will be taken to Banardos to distribute. Disco tickets are still available at £2 each for anyone who wants to come in and join the fun from 10pm. Money to Julie or Martin please. 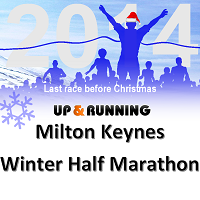 We are organising a Redway Runners trip to the Milton Keynes Lightning ice hockey match on Saturday 10 January 2015. The game starts at 19:00 and is against the Sheffield Steeldogs. As you may have read in the local press, the team have just returned to MK to play their games at a beautifully refurbished ice rink just behind “Argos” and “Toys R Us” near MK Central Station. We have managed to get an excellent discount on ticket prices. Adults will cost £7.50 (instead of the normal £12.50) and children under 16 years of age will be charged at £3 (instead of the normal £6.50). Those who have never been to ice hockey before are in for an evening of a fast paced, hard hitting game with the odd fight here and there! The game will be over at about 9.15pm. There is a splendid bar and good food and beverage facilities. We will all be seated in a block together which will add to the fun. or cheque (payable to ‘Redway Runners’) to Martin will secure your seats. Absolute closing date will be Wednesday 7 January at 17:00. You wanted the green hoodie without the ‘On Tour’ on it – so we now have added to the shop a green hoodie with the Redway Runners logo EMBROIDERED on to it (currently they are printed). Redway Runners are manning the water station at mile 9 (Teardrop Lakes) for the Winter half Marathon on 14 December. It’s being led by Diane Gilbert and at least four volunteers are needed to help on the day. If you can help, please get in touch. Everything will be supplied by the organisers, FQ Events – you will need to be there at 10.00 ready for the first runners coming through around 10.45. This will also be the club cheering point so come along and support the green team. We now have for the ‘Class of 2015’ the Marathon training runs on Sunday listed on the club web site, so you can start to schedule them into your training plans. Remember these runs are your runs (we enable them to happen and provide some fun!). As a rough guide the runs start on the first Sunday in January with 1 hour 20 minutes of running and increase about 10 minutes week on week going up to 3 hours of running – the distance that you get on these runs will depend on the speed you run at – only you know what speed you will run at – all we ask is that you are able to run for 80% of the full time of a run (so for a 1 hour 40 minute run ie 100 minutes you should be able to run for 80 minutes). In what must be the worst kept club secret, we are now able to announce the club Autumn trip will be to Cardiff in October for the half marathon on the 4 October.